Elena was very professional and extremely knowledgeable about Cremona. We enjoyed our tour with her and highly recommend a visit to Cremona with Elena. We have used Toursbylocals.com during our previous 2 visits to Italy and been very pleased with both our experiences. Good tour of a lovely city. We particularly like the 30 minutes with the violin maker - she was excellent and worth the extra fee. Elena was knowledgeable, professional and pleasant. We appreciated her flexibility in accommodating our areas of interest. Elena was outstanding in every way. She arranged this custom tour based on our request, and was extremely knowledgeable at all the locations. She was also very well informed about the classical music interests that we had. In some places the tour provided by the facility was only in Italian but Elena provided an equal or better running commentary in English. Her command of English was excellent. Her help in choosing a place to eat in Busseto and in finding our way to each place was invaluable. Elena was delightful and really knew her history even when I asked to see places which most people don't go to Cremona to see. I was really happy with the tour. Elena was a gem. She arranged a tour to the particular needs of my group. She was incredibly knowledgeable about everything relating to Cremona and the violin makers of the past. Everyone in our group enjoyed the tour immensely. I can't praise her enough. 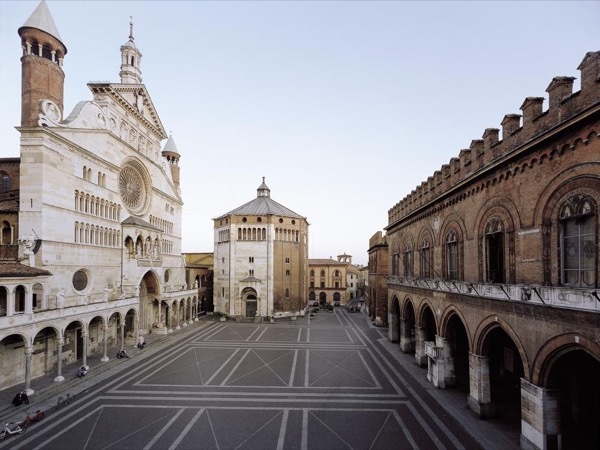 TOUR GUIDE RESPONSE: Thank you very much for your kind comment, it was such a great pleasure and a honour to welcome your group and you in Cremona! Looking forward to meeting you again in future and to receiving some pics of the tour. Elena really knows opera and her stories of the great singers and composers who played at La Scala were wonderful. We only wish we had been able to see more of La Scala itself. Most of the tour was in the museum and we wanted to see more of the theater and, hopefully, backstage areas that are not open to the public.